META FLY is a fast and powerful metafile converter. With it, you can transform native Windows metafiles into useful formats for other applications. Windows Metafiles (WMF) and Enhanced Metafiles (EMF) are the native Windows vector formats. Unfortunately, they don’t travel well. If you want to use them on the Web, UNIX, Linux, the Mac or in specialized applications, you’ll need to convert them. META FLY does that brilliantly! Use META FLY on your desktop to convert WMF and EMF to all industry-standard formats. Convert just one file as easily as multiple files or complete directories. PDF FLY combines all of our vector and bitmap modules into one easy to use product. Use it to convert PDF, PostScript and EPS files. Since 1995, professionals in engineering, technical writing and illustration have relied on PDF FLY. It saves time, improves quality and streamlines workflow - all in one powerful product. All formats support a variety of intelligent filter options ensuring a top-quality match with the original. Single or multiple files can be selected and will be converted in one run. For customers large and small across all industries, PDF FLY saves time while enabling new workflows. 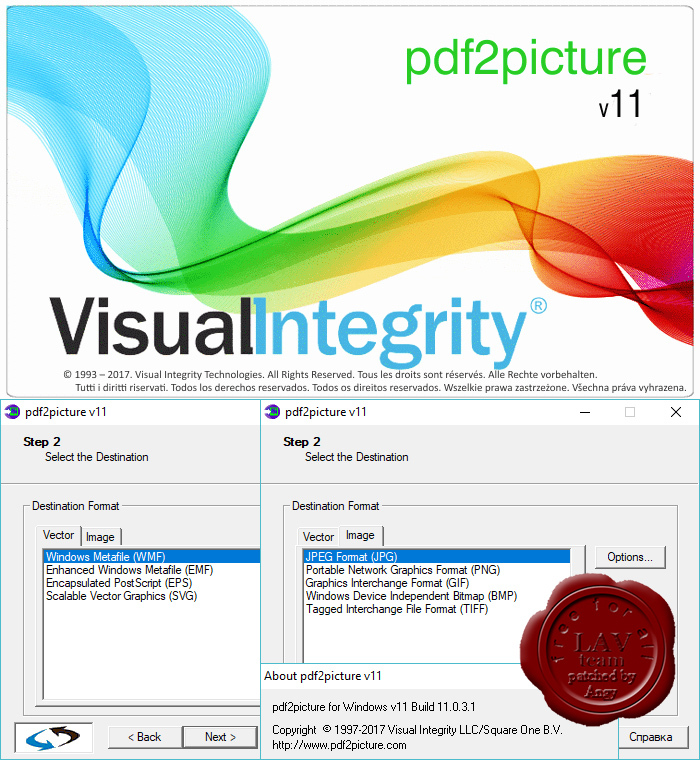 pdf2picture v11 turns PDF into editable Visio files. Edit PDF in Visio or create SVG for the web with pdf2picture. Transform your vector PDF, EPS and AI files into editable vector drawings, scalable vector graphics (SVG) for the Web and high-fidelity image formats. With just this one program, you'll be able to generate the perfect format for your project. pdf2picture is an ideal companion for Visio, Microsoft Office, Publisher, Google Apps, SketchUp and more. We know your time is valuable. pdf2picture will pay for itself after just one use in time saved redrawing or cleaning up traced results. Begin by choosing vector or image mode and then select your output format. It might be WMF for Visio, SVG for the Web or EPS for a marketing brochure. No matter what you choose, you can be assured a quick conversion with the highest quality possible. Choose vector mode (WMF, EMF, EPS or SVG) if you want to extract the objects and text for editing. Image mode (JPEG, GIF, PNG, TIFF) is excellent for resizing images or making them Web-ready. pdf2cad v11 offers many new features and enhancements including a 64-bit version, support for all current Windows operating systems, handling of password-protected PDF files, more control over images, flexible page numbering, additional ways to separate layers and more. Use pdf2cad to transform vector PDF files into editable CAD drawings such as DXF and DWG saving hours of redraw time. In just seconds, you’ll extract an accurate drawing which can be easily modified in popular engineering programs such as AutoCAD, TurboCAD and MicroStation. Output formats include DWG, DXF and HPGL pdf2cad is ideal for converting CAD drawings, floor-plans, network diagrams and organization charts. It extracts editable CAD entities, layers, objects and text from any computer-generated PDF file while images from scanned PDF files are placed on a non-editable tracing layer. 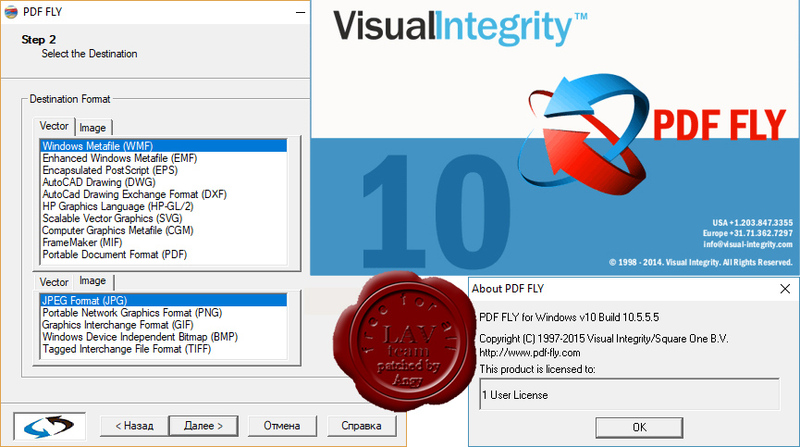 pdf2image v10 can extract images from a PDF files or convert entire documents into the perfect format for your project. Choose from PNG, JPEG, GIF, BMP and TIFF. with pdf2image, you'll produce high-fidelity images ideal for publishing on websites or for use in applications such as Microsoft Word, Microsoft Publisher and Microsoft PowerPoint. pdf2image is very intuitive. All you need to do is select your file, choose whether you want to convert entire pages or extract individual images and then convert. Enhance your office documents, newsletters, emails or your websites with images that are just the right size and resolution. Web publishers can choose from JPEG, GIF and PNG for crisp display or email broadcast. Microsoft Office users can add high-fidelity images to their presentations, reports, brochures, bulletins and other works.